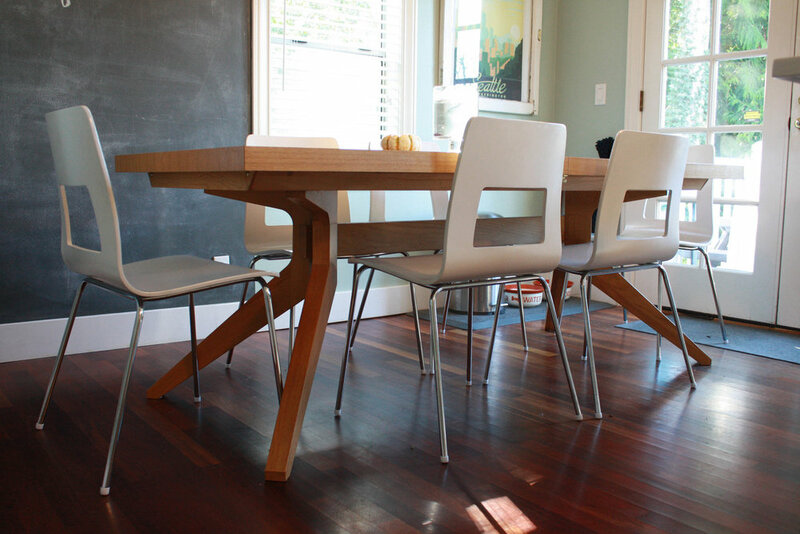 For your consideration is this gorgeous Cross Extension Table designed by Matthew Hilton. The oak tabletop expands with a simple, smooth pull, allowing insertion of up to two leaves for three possible table widths: 78.75", 98.25" and 117.25". 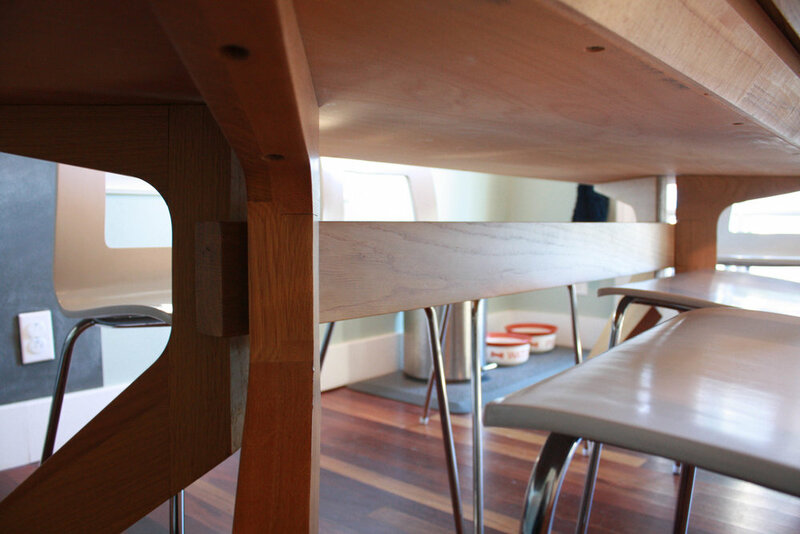 Be sure to note the splayed legs and solid oak beam running under the table. This thing is rock solid. After guests depart, store the leaves in the felt-lined compartment under the top – no more “find the leaf” drama before gatherings. Depending on your chairs, the cross table can seat up to 12 people. Excellent condition with very little signs of use. W 78.75" / 98.25" / 117.25"